The U.S. bank bought 5 bln pounds of mortgages made by the lender which failed in 2008 from the UK government. The state cuts its debt load, and the buyer gets stable high-yielding assets. The risk is that a left-wing executive takes power, and forces lenders to cut rates. 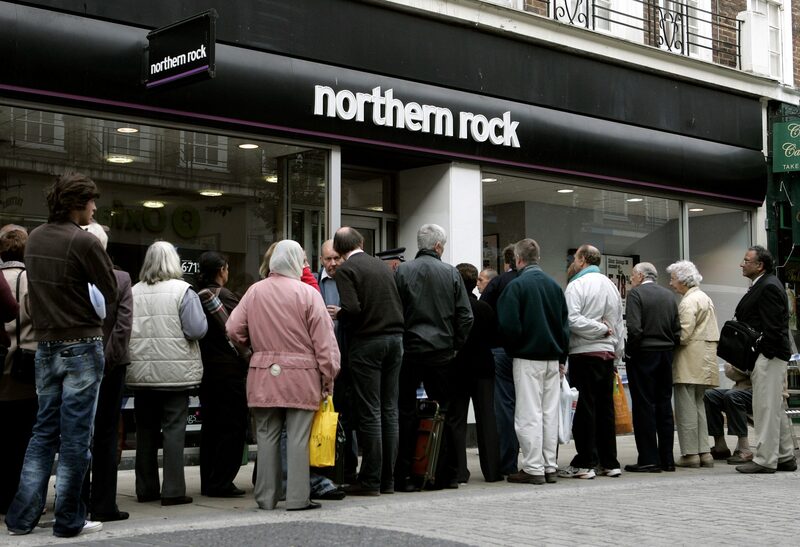 Customers are seen queueing to enter a branch of Northern Rock in Kingston, Surrey, southern England, in this September 17, 2007. A British government fund, set up to manage the assets of banks bailed out during the 2008 crisis, on April 2 sold 4.9 billion pounds worth of mortgages and loans to U.S. lender Citigroup. UK Asset Resolution said asset manager Pimco had provided the majority of the financing for the deal. The proceeds will go towards repaying loans that the UK Treasury provided to Northern Rock during the crisis.